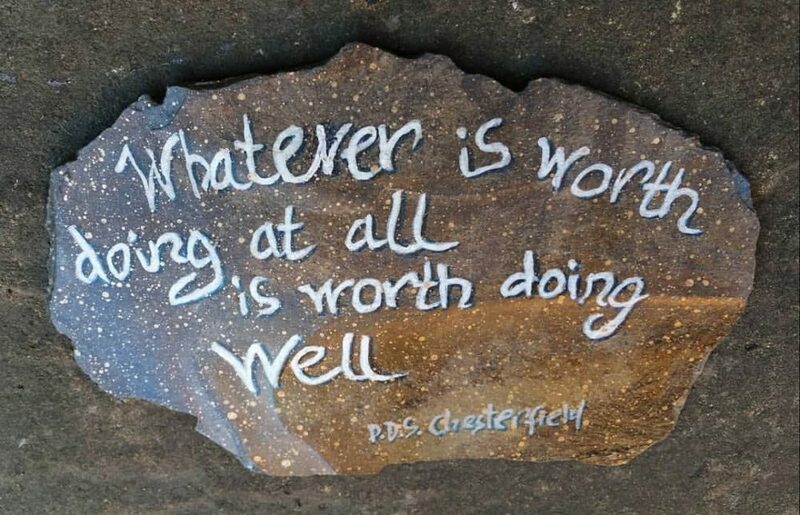 Whatever is worth doing at all, is worth doing well – Philip Stanhope, 4th Earl of Chesterfield (22 September 1694 – 24 March 1773), a British statesman. One of the kind Welsh slate. An original piece, approximately 18×12 cm (7×5 inches). Ink and acrylic handwriting on the grey stone plus some golden sprayed stars. Words from the past which always will be relevant in the future. Gbp40.